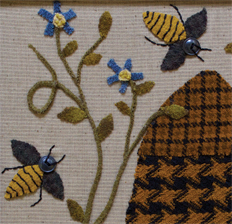 Finished size - 13" x 13"
Hats off to the worker bees! 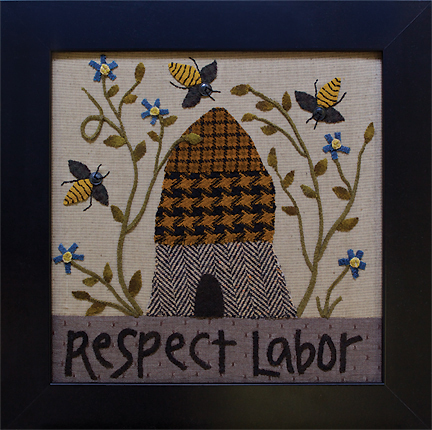 This hive of happy workers will cheer your day decorating the wall of your home. Felted wool applique on fabric and framed.